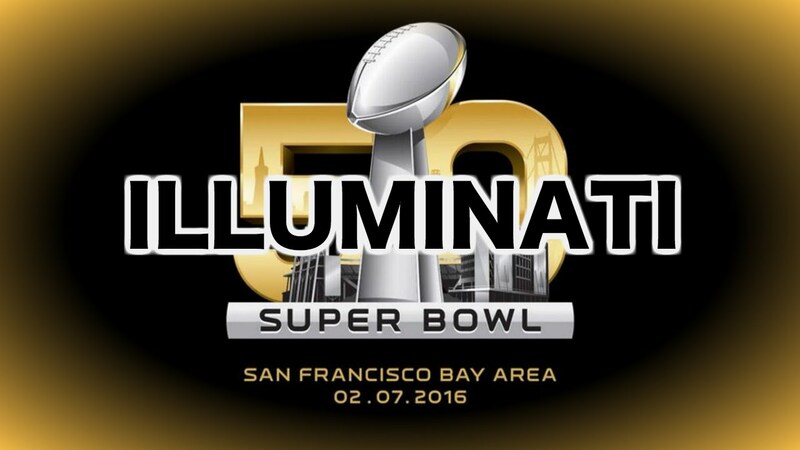 SAN FRANCISCO, CA, U.S. — Was Super Bowl 50 rigged? Was last year’s Super Bowl rigged? Yes. Sorry if this is disappointing news (it shouldn’t be), but I think we can all safely assume that Super Bowl 50 was rigged, and that probably every Super Bowl hereafter will be rigged as well. 1. What a boring game! The Carolina Panthers have played exciting and energetic football throughout this historic season that they went 15-1 during the regular season. Even the team’s postseason games before this sleeper of a Super Bowl were high-octane and worth watching. But all of a sudden during the Super Bowl, all of that stylistic playing disappeared? All because of the Denver defense? The match up that would have taken place if the game wasn’t rigged would have been truly phenomenal. But with all the talent on the Panthers team that we’ve seen throughout the season, this boring game could only have been orchestrated. Don’t believe the ratings that say this was a highly-watched game. The lies never stop. The only part worth watching was Beyonce’s halftime performance! Why was the game so boring? One theory is that Carolina players were paid to throw the game. Another theory is that the Denver Broncos had all Carolina Panthers’ plays. It’s really not that hard to imagine a scenario where one team has another team’s plays. It has already been revealed that Tom Brady’s New England Patriot Bellicheats have recorded other teams’ practices. Even then, New England still needed Seattle’s offensive coordinator to throw the last play in order to steal the game last year. We also live in an era of drones. The U.S. has millions of drones hovering over its mainland and over the skies of hundreds of other countries, including West African countries. Of course, it wouldn’t be difficult for drones to photograph or record Carolina’s practices. It also wouldn’t be difficult for the Broncos to access any information that Carolina has stored on a computer, placed on a hard drive, or sent through email–that is if the conspiracy is in for the Broncos to win. If Angela Merkel’s cell phone isn’t safe and our own smartphones have microphones that are transmitted onto permanent servers, why would it be a stretch to infer that Carolina’s plays are also unsecure? Even Edward Snowden types in his passwords under a blanket. The main reason why the game was rigged is to satisfy the goals of whiteness and to promote white masculinity. Sports have always been a place where race wars are fought and white supremacist beliefs are manufactured. If you look at the Denver Broncos team and much of the NFL, you’ll see that the tendency is to take some less than average white quarterback who couldn’t succeed on Wall Street or in medicine and surround him with Black superstars. That’s why there’s always some weak white quarterback like Tony Romo surrounded with Black superstars like Dez Bryant. The NFL is rigged to prop up white quarterbacks and ruin Black quarterbacks’ careers. Why won’t you see Robert Griffin III with a talented receiver or a great defense or a spectacular offensive line? Ever notice that the superior Black college quarterbacks always get drafted to teams of laggards? Why did Russell Wilson come out of nowhere, as low round draft pick? But by his second season, most of his wide receivers were sold to other teams? Why was Cam Newton’s success this year such a surprise that came out of the blue? Why was ESPN quiet when Cam Newton was the only undefeated quarterback left in the league and why has all the discussion leading up to the Super Bowl been about Peyton Manning and his retirement? That’s also why, even with the overabundance of skilled Black athletes, you never see a Super Bowl with two Black quarterbacks facing off. The thirty-two white owners conspire to ensure that won’t happen. That’s why Marshawn Lynch didn’t get the ball to walk one yard to score a touchdown in last year’s Super Bowl. The thirty-two white owners didn’t want Black masculinity, Marshawn Lynch, and Russell Wilson to be victorious. The last time Peyton Manning faced a Black quarterback, Black masculinity, Marshawn Lynch, and Russell Wilson prevailed. This time, the thirty-two white owners made sure to let the white quarterback Peyton Manning retire with another Super Bowl Ring. No matter all the Black superstars who play on the Denver Broncos, you will never hear the white U.S. media talk about any Black players on the Denver Broncos. The story that the white supremacists will concoct is one that centers around their white hero. And they are more than willing to throw games in order to fulfill this delusional fantasy. What does all this say about the NFL? No one should be surprised that these games are rigged. The NFL itself is a game that is structured to showcase white quarterbacks so that whites in America can feel better about their masculinity. With all the Black players, it’s no surprise that the white media only talks about less than average white boys like Johnny Manziel, Aaron Rodgers, Peyton Manning, Andrew Luck, and Eli Manning. If the NFL was a real sport, it wouldn’t stop every fifteen seconds to take a break. If the NFL was a real sport, the players wouldn’t have to look to the sidelines every second to receive a play call from some offensive or defensive coordinator. They would just play. The players are men, after all. Not boys. They really don’t need some staff of white men who have never played football in their entire lives to tell them what to do on the field. All that resembles is some twisted, psychologically warped master/slave mentality of which the NFL reeks. If the NFL even desires a Super Bowl that is not rigged (which I seriously doubt), all plays have to be burned before the game. The players have to call their own plays, from the scratch. The quarterback has to make them up in his head, not write them down, and not divulge a word to anyone. Otherwise, if the game has plays, they will be told and sold. Just know that Super Bowl 50 was rigged. The NFL is rigged. Super Bowl 51 will be rigged also. My grandmother always said: Never set your heart and hopes in the liar’s den. It is tough, if you watched the game this year and last year, to come off with any satisfaction that the Super Bowl was not rigged. I think it was. There are many ways to rig it and I doubt the Owners are not rigging it. Now, these Black folk and these blind white Americans are just being robbed dry because, like the Talmud said, you are the Goyim (the non-Jew). The NFL is owned by Jews!